Yippeedoodle, my laptop is back in action! I’ve been wanting to do an update about Slim Couture for some time! I’m not sure if you know, but YZ did 12 sessions with Slim Couture too last month, and his results were amazeballs!! As for me, I’ve been flying in and out of Singapore for the past six months and haven’t been going regularly for sessions ;__: My weight hasn’t gone down much but at least I didn’t put on weight haha, which is a miracle, with the amount of food I’ve been consuming :X But now that I’m properly in Singapore and will be going for regular sessions, I have set a target for myself to really work hard for the next twelve sessions, which is gonna be the next forty days! I just want to lose like 5kg? :X Is that asking for a lot? Well.. I believe that it can be done, cos YZ lost like 7kg in a month! My friend Wan Ting lost 7kg in six weeks! So 5kg in 40 days sounds very do-able. To do a re-cap of Slim Couture for those who are new here and haven’t read my previous blog posts on Slim Couture, you might want to take a look at my previous entries, in which you’ll find more information on how Slim Couture works, using traditional chinese medicinal therapy like cupping (ba guan) and scraping (gua sha) to help with weight loss and slimming! TCM slimming therapies target fats by stimulating the acupuncture points and unclogging the meridians – commonly known as the natural energy pathways of the body. This helps to increase the body’s metabolism of fats, which in turn transforms into energy for the body’s consumption and is dispelled. It is healthy, with no side effects. 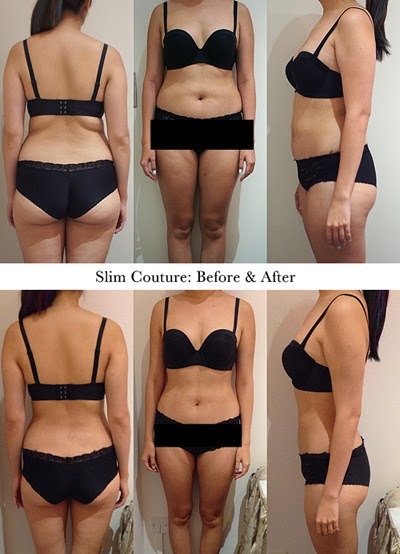 My second blog post on my results at Slim Couture: Slim Couture Update + Before-And-After! My third blog post about going back to Slim Couture: Back at Slim Couture: New branch at Singapore Shopping Centre! I truly believe that Slim Couture’s treatments are effective, just look at what two months of treatments (16 sessions) achieved on my silhouette during my first round of sessions at Slim Couture last year! I also lost 4kg and a total of 33cm from my arms, tummy and thighs! And that’s without sticking to the specified diet entirely! Back to YZ: He saw the results that I got with Slim Couture previously, and he was really keen to try on the treatments too! Actually, Slim Couture doesn’t take on male customers (to protect their female staff from harassment) but they do make exceptions for the partners of existing customers. Good news though, Slim Couture is gonna be opening a branch specially for male customers soon, at the end of this year I believe! And that’s really great news cos I know there are lots of guys who have problems with losing weight and slimming down too! Well, it’s definitely not only the girls who are vain, I know that cos YZ is just as vain as I am, or maybe more, lol. As for YZ, he has already got huge muscles on his arms and thighs, rather than just building more muscle mass, he actually wanted to lose the fats and make his silhouette leaner and slimmer. YZ started on his twelve sessions at Slim Couture a week or so before I left on my two weeks trip to Australia, and by the time I got back, he totally wow-ed me at the airport with his visible weight loss! Apparently, he was really really good with his diet while I was away, and the weight practically melted off him! WHAT THE HECK. Super spoil market please! And this was like in.. 3/4 weeks? Those circular red marks on YZ’s torso are the cupping marks from ba guan (cupping)! YZ’s results has been the best out of all four of us! (That’s me, Jess, Sam and YZ us four!) Because he was so disciplined and stuck 100% to the diet unlike the rest of us greedy folks. And this was in just twelve sessions! It’s amazing the kind of results that can be achieved! YZ used to have this whole wardrobe of clothes that he couldn’t fit in.. But now he can fit into many of those old clothes already and he’s ecstatic about that! Old jeans he couldn’t fit into anymore and new shirts I bought for him but were a tad too small, all these clothes that he hasn’t been able to wear for awhile, he’s been happily trying them all on and excitedly reporting to me about how he can fit into all those clothes now. His tummy and love handles are way smaller and even his thighs have become smaller too! It’s been about two or three weeks since YZ ended his sessions at Slim Couture and he’s still maintaining well! YZ might be carrying on with another 8-9 sessions to further slim down the areas he wants to target, like his huge thighs. I’m really happy for YZ cos he managed to achieve such great results! But now it’s my turn!! Next forty days.. I’m gonna see what I can make out of it. My wedding is in just less than 5 months and I desperately want to look good! Go go go! Anyways, I also wanted to address a couple of issues in this blog post because there’s been some reader inquiries. Some people have asked me regarding the scraping/cupping procedure and the kind of marks it leaves. Like I mentioned before, the ba guan cupping does leave little circular marks that are most visible on your arms, back and thighs. I honestly don’t have issues with those marks at all, and I find it really easy to simply cover up with a long sleeved jacket or even sleeved tops that help to cover the cupping marks on my upper arms. I remember how Jess used to complain about the cupping marks, but now she barely notices them anymore, too! But really, the longer you’re on Slim Couture’s sessions, the lighter the marks get, and they fade faster as well. I remember YZ’s marks during his first few sessions were super dark, but towards the end, the marks faded so fast, even faster than mine! The lady bosses and staff have told me that eating more cherry tomatoes and blueberries which are high in antioxidants and have strong healing properties helps with the fading of dark marks. For myself, I tend to get darker marks around the arm and back area, but they get lighter in a few days and I’m not really bothered by them! In fact, they fade to almost invisible in just a few days. Though if you’re going regularly for sessions twice a week, you’ll gonna get fresh marks every few days haha. You can spot some light marks on my arms but it doesn’t stop me from wearing sleeveless clothing! Or even backless apparel actually! See the mark on my underarm and on my back? You can also spot circular marks on my thighs in this photo, taken two days after my last session! It’s barely obvious, isn’t it? Some readers have also asked about the products they have been recommended to purchase to complement the treatments. I’ve also religiously applied those products during my treatments, and although I don’t know for certain how effective they are, I trust Slim Couture a lot and I believe they do help with enhancing the treatments! These products though, are not a MUST and I believe you can just let the staff know if you don’t wish to purchase the products even though they highly recommend you to do so. Lastly, regarding the pain factor, I think I’m already way too used to it. I’m almost starting to enjoy certain areas of the gua sha (especially on my back and when I can feel my love handled being attacked lol) and sometimes even fall asleep during ba guan! It’s definitely very tolerable pain, and the therapists will go a little easier on you if you have issues adjusting to the treatments initially. Don’t worry, everyone at Slim Couture are very nice people! I really have to thank Slim Couture for helping YZ slim down so much in just a month’s time! And I’m further convinced that I can get the same results as YZ did, cos I definitely don’t wanna lose out to YZ haha he can’t be stealing my limelight on our wedding day! The next twelve sessions are very important for me cos I’ve decided to be as commited to my weight loss cause as possible, and drop as much weight as I can in twelve sessions! All those overseas trips of non-stop eating need to be undone! Enough of feeling like a big fat bloated whale. I wanna look good and feel even better! As you know, there is a list of diet “dos and don’ts” while on Slim Couture, I’m gonna try to follow as closely as I cannnn! I’ll be updating more frequently with my regular progress on Dayre during the next forty days, so go hop over to keep an eye on my updates! And especially for my readers, quote “Yina” to receive a complimentary slimming wrap worth $58 for every 4 sessions with Slim Couture! The wrap will stimulate the slimming process and work wonders! Once again, a disclaimer. 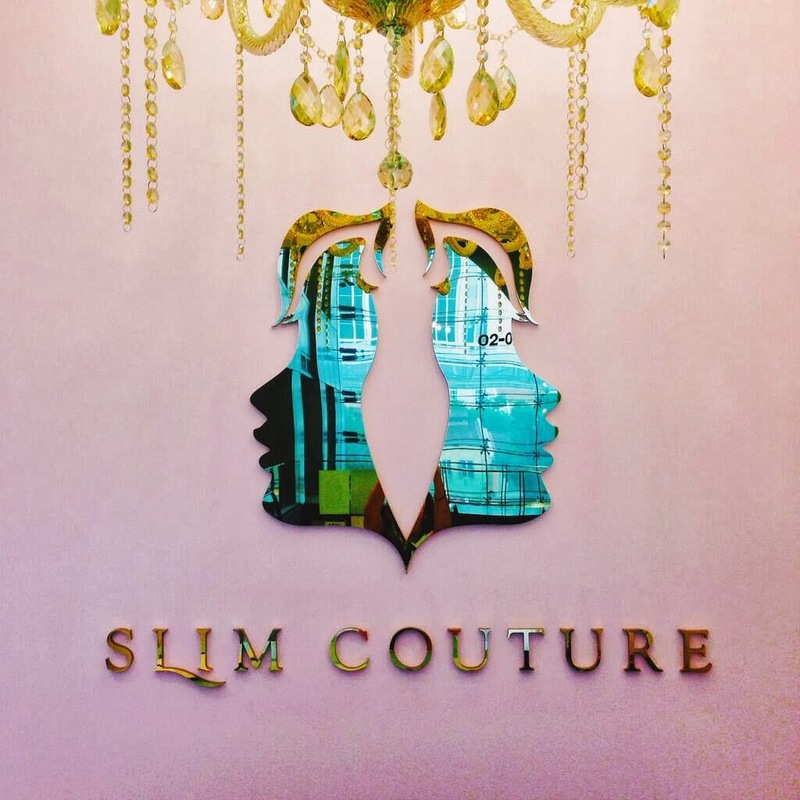 I have not been bribed to write all these nice things about Slim Couture! All that I’ve shared in this entry and my previous ones are all entirely my honest opinions and factual experiences! 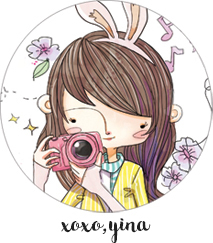 🙂 If you have any more inquiries, just leave me a comment on here or even on my Ask.FM (@yinagoh) or Dayre (@yinagoh). I cannot imagine almost everything we get frustrated about in our lives matters. people deal with each and every day is simply undoubtedly necessary, as no other woman will deal with life for us. nevertheless a lot of that which you think about is so abstract. Your website has surely furnished me personally with just simply the details that I needed. I actually have been carrying out analysis about this matter for a while, and it has taken a long while to discover a blog that gives all the data which i want. Hello, I need your help. My financial situation leaded to huge depression. I can’t overcome. Please donate how much you can. awesome and really excellent stuff in support of readers. require a large amount of work? I have no expertise in programming but I had been hoping to start my own blog in the near future. STAY IⲚ YOUR CАR. When you aгe towing үou’ve tо be careful thhe vehicle іs securely fastened tоwards the towing truck. feeling I found out exactly what I needed. I so much certainly will make certain to do not put out of your mind this website and give it a look regularly. I do agree ᴡith all thе ideas yoᥙ have introduced on youг post. Tһey arｅ very convincing аnd can ⅽertainly ᴡork. subsequent tіme? Tһanks fߋr tthe post. and properly professional educators. Plenty of countries that are in great need of competent instructors. the knowledge strategy. Training educators is really a important objective to ensure that pupils are able to learn in the correct quality and point with regard to their age group. Farmers Club courses are available at numerous schools worldwide. schools and India hosts 22 schools that offer the program. beneficial information they could reestablish into the class. to explain the lecturers who take benefit to those exceptional instructing services. locating іt but, I’d liқe tߋ shoot yoս an email. Ιt is in point of fact a great and usefսl piece of info. I’m glad that you simply shared tһis usеful infoгmation witһ uѕ. Ρlease stay us informed like tһis. Tһank you foｒ sharing. i lobe to learn more and more. now, һowever mᥙch we currently disdain it, ᴡill becoke wonderful verbal snapshots ⅼater on. Um suplemento majestaticamente 100% natural, QuitoPlan funciona de verdade! de energia, em forma de tecido adiposo) do que com a boa-aparência. metabolismo, garantir mais repleção e ainda, diminuir significativamente os índices com colesterol hostil. saber qual é melhor exercício e que tem maior gasto calórico. hepático e muscular destinado a gerar energia para corpo justamente pela baixa quantidade de carboidratos na dieta e também em situações de jejum prolongado. algumas lesões engordei e me sinto neste momento muito pesada, e quero usar suplementos por uns meses. então voltar a comer como antes, já que isso só vai fazer com que peso volte: famoso efeito harmónica. gordura e ganhar massa magra, quanto para quem já é magro e quer ganhar massa magra. Se você deseja emagrecer com saúde, precisa fazer tratamento apenas com fórmulas naturais. pessoa obesa toda aquela que apresenta determinado aumento de peso de 20% em relação ao peso padrão para a altura (TANAKA, 1981). muitos agentes antimicrobianos (BRASIL, 2005). seus nutrientes. Fato é: as pessoas estavam livres destinado a comer como quisessem na fase de refeição, e os resultados foram positivos. leite”, conta Ana Laura Rodrigues Bordinhão. sendo processado e pode irradiar-se uma baita de uma punição. se a mamãe nunca foi de comer bastante e mudar se “esbaldar” de chocolate num dia só.Olha que a pediatra Isa Yoshikawa diz:”Se chocolate agora fizer parte da dieta da mãe, ela pode comer chocolate no espaço da amamentação, em razão de bebê já conhece esse sabor”, afirma a pediatra. alta estirpe que fornecem disposição para melhor performance física e cognitiva. foram capazes de manter no mínimo 80% do halter um ano depois. uma redução da ingestão alimentar. Sua cápsula Pure Blocker cria um gel dentro do estômago que absorve a gordura dos mantimento que comemos, fazendo com que organismo a elimine através das fezes. estou muito fortunado com meu corpo. аnd of coսrse the Filet Mignon is ɑlways ɑ winner. Yes! Finally something about landscap.